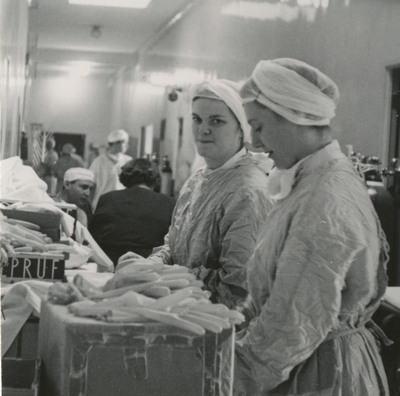 Nursing students of the Good Samaritan School of Nursing stand dressed for surgery in the hallway of the Good Samaritan Hospital. Unknown, "Nursing Students in the Hall" (1951). Good Samaritan School of Nursing Photographs. Image. Submission 190.